(Bloomberg) -- Investors in the United Arab Emirates’s stock markets are marking a clear distinction on how they see some of the biggest listed real estate companies weathering the stormy times ahead. Emaar Properties PJSC, the developer of Dubai’s Burj Khalifa, and Aldar Properties PJSC in Abu Dhabi, have gained this year as better-than-expected results and appealing dividends attracted investors. 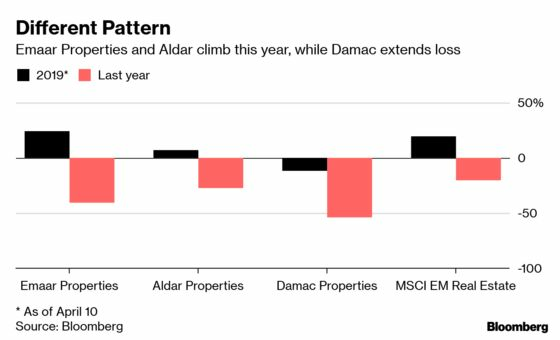 Damac Properties PJSC, on the other hand, has extended its declines with more outflows on the radar. U.A.E. real estate stocks have been battered in the past two years amid increasing supply and faltering demand as lower oil prices hurt economies across the Gulf. Dubai residential prices have dropped about 25 percent from a peak in 2014, according to Craig Plumb, head of Middle East research at broker Jones Lang LaSalle. He estimates a contraction in the single digits this year. Read more on why Mark Mobius says it not time to buy Dubai property before "real slump"
Damac’s shares have declined 56 percent in the past 12 months and in February the company posted its lowest annual profit since going public in 2013. The stock could be excluded from MSCI Inc.’s main benchmarks in a review next month as it fails to meet technical requirements, according to Mohamad Al Hajj, an equities strategist at EFG-Hermes in Dubai. That could trigger further outflows, he said. It fell for a third session on Wednesday. 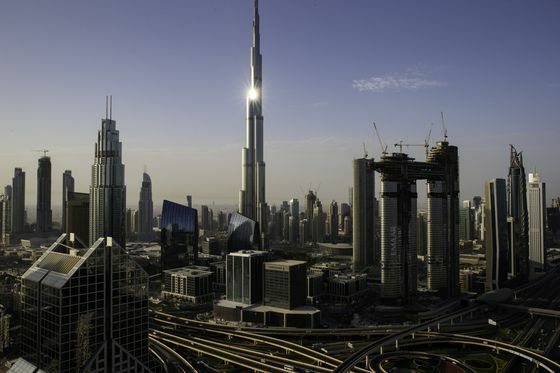 Listen to a podcast on why Dubai’s real estate slump is no blip.